Home Troubleshooting How to upgrade windows 7 to windows 10? What are windows 7 and windows 10? These are the versions of Microsoft windows operating system. Windows 7 was released in October 2009 while windows 10 was released in July 2015. Windows 7 was followed by windows 8 and thereafter windows 10. 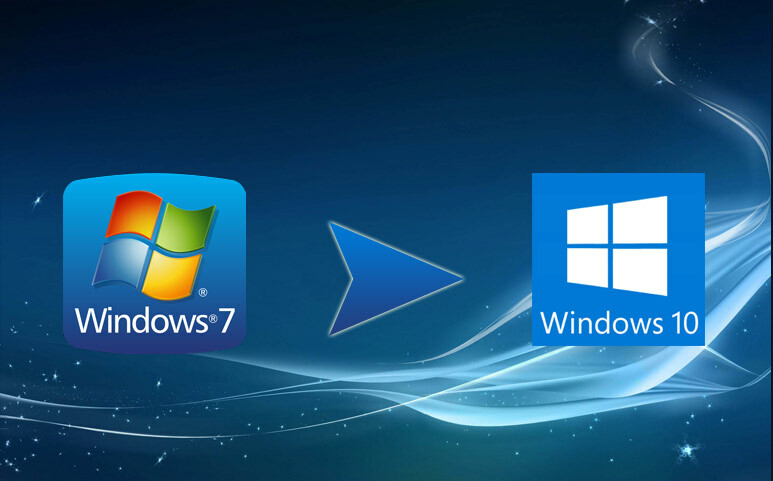 Window 7 is the most popular and widely used Microsoft operating system. To run windows 7 in a personal computer, one needs to have, 1 GHz processor, 1 GB ram, 16 GB hard disc space, Direct X 9 graphics device with WDDM 1.0 in the computer. Windows 10 is the latest version of Microsoft windows operating system. Windows 7 and windows8 can be updated to this version. To run windows 10 in a personal computer, one needs to have 1 GHz processor, 1 GB ram, 16 GB hard disc space, DirectX 9 with WDDM 1.0 and a display size 800* 600. One of the most noteworthy differences between windows 7 and 10 is that Windows 7 is compatible for personal computer and laptops only. But windows 10 can be ran in computer, laptop, tablets and phones as well. In windows 7 operating system when you click the Search button, it searches only in computer files but in windows 10, it searches in the web as well. Windows 7 comes with inbuilt web browser internet explorer 8. But windows10 has modified the internet explorer to edge and thus this is how internet explorer has become outdated with its latest 11th version, i.e. computers having windows operating system 10 need not have the web browser. One of the most notable features is that it will enable the user to create many virtual desktops on the screen. So the user can build different desktops for different work forms. People who are using an authentic version of windows 7 they could upgrade windows 7 to windows 10 for free, till July 2016. But now this period is over, so you need to have a windows 10 licence. Then connect your computer with internet. Go to the control panel and click on windows update. Then click on check for updates and wait till message ‘Upgrade to windows 10’ blinks. After that click on’ Get started’ button. You will be asked to accept the license. After accepting the license, click on ‘Start upgrade now’. After upgrading is completed, you will see the screen of windows 10 on your computer. In order to run the update windows, you need to go to setting and then updates and security. Then you need to click on windows update to install all the required drivers and updates.